Two schools, a daycare centre, local businesses (with many being home based), services, trades and a strong fire presence with RFS, Town Brigade and the fabulous HUFF programme. You will see a lot of activity on the Community Noticeboard on Station Street in the village centre. Wander through the village to find out more, check out what’s on at the Pub where bands are usually playing on the weekend, dinner at some of our big hotels, the community noticeboard on Station Street and discover our fabulous cafés. 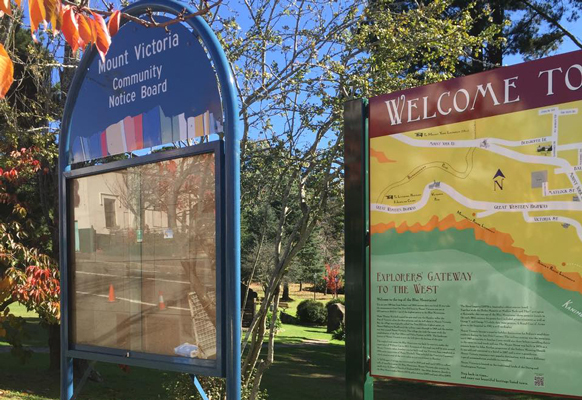 And be sure to come along to the monthly Mt Victoria Community Association meetings on the 3rd Monday of each month to be a valuable part of our Community and make some great things happen! To find out what’s on, just head to our Calendar page.